The year is 1919 and a circus train is travelling across the States from Sarasota to Joplin, MO. It arrives just as another train comes in, bringing soldiers home from the War. 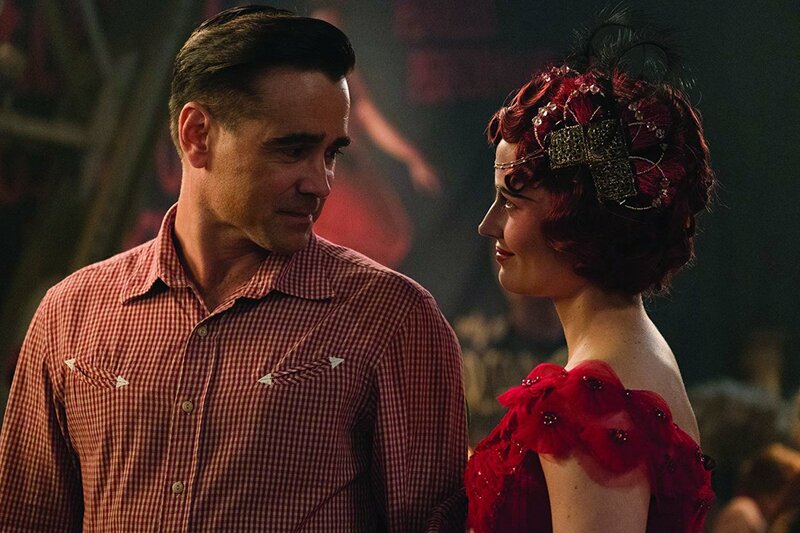 Holt Farrier (Colin Farrell) arrives home, welcomed by his two children, Milly and Joe. Having previously been a crucial part of the travelling circus, Holt is ready to get back to work. Unfortunately the horses he used in his act have been sold and he is promoted to elephant trainer. A new baby elephant is due to be born any minute and it’s not long before the new bundle of joy arrives. There’s something slightly unusual about the new baby and it’s decided that he will become a star attraction in the Medici Bros. Circus. Opening night and the baby elephant is billed as the new draw. During the performance, an accident happens and the mother elephant stampede’s to save her baby from harm. The Big Top comes down due to the stampede and it’s not long before Mrs Dumbo is dragged away and locked in a truck. The two children have formed a bond with the baby and discover that he has secrets of his own..
You may remember the original animation, released by Disney back in 1941 and it has since become a shining example of the magic of Disney. One of the most loved and remembered of stories, Dumbo seems like one of those iconic movies which should never be remade or ‘re-imagined’. In the original, Dumbo is delivered to Mrs Jumbo by a stork and his best friend and mentor is a mouse called Timothy. Laughed at by everyone for his huge ears, Dumbo must try and achieve his true potential. So, sometimes when you hear talk that an iconic Disney animation is being ‘re-imagined’, your initial first reaction would probably be one of horror and sadness. Now there is a whole new generation who may not have been lucky enough to see the 1941 Dumbo, and with technology having advanced as much as it has, this could be the time that the story is re-told. 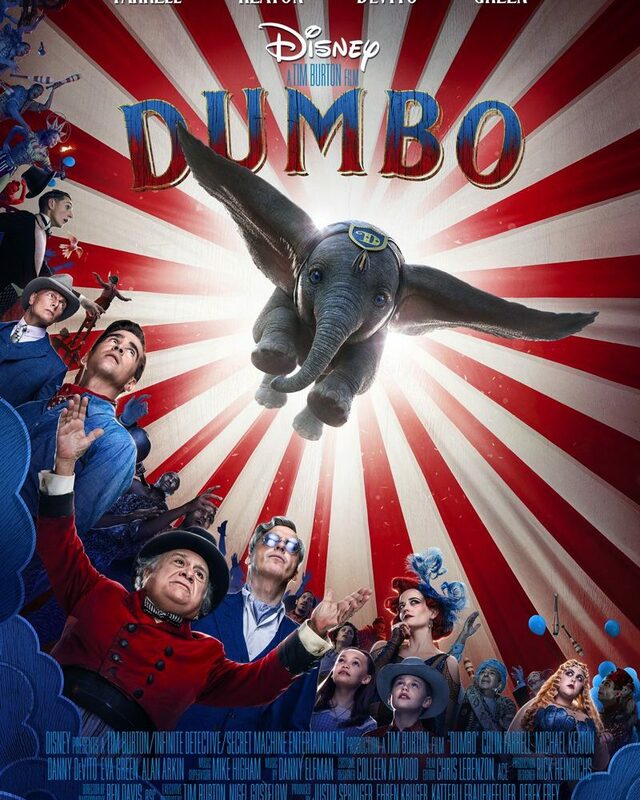 At the helm is the incredibly talented Tim Burton (Batman Forever, Beetlejuice, 9, The Nightmare Before Christmas) to give his live-action vision of the new Dumbo. He has assembled a fantastic cast, including Danny DeVito and Michael Keaton (who both worked with Burton on the 1992 Batman Returns), Alan Arkin and Eva Green. Michael Keaton is a deliciously evil baddie and you really do wish him harm by the end of the film. The CGI’d figure of Dumbo is simply a thing of beauty. You only have to look into those eyes once, and you will immediately fall in love with this small little elephant. The much loved song, Baby Mine is used to great effect and I have to admit that I shed a few tears at various points in the movie. Make the excuse to take your children/ nieces and nephews/ other people’s children to see this gorgeous movie. 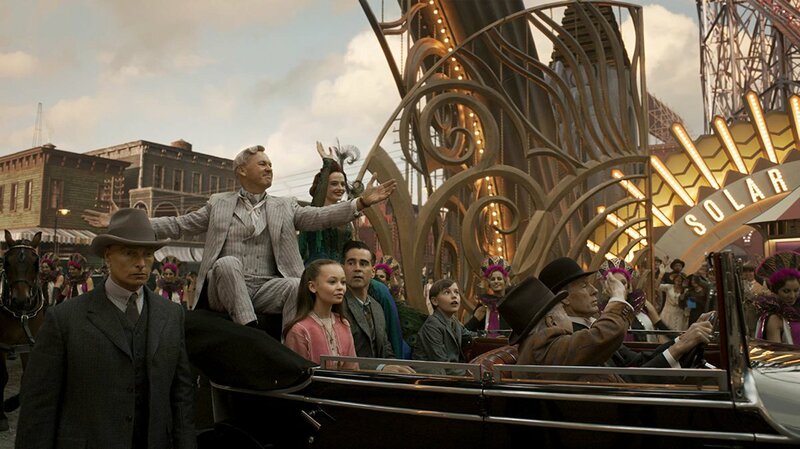 It has everything you could ask for; great story, great cast, evil baddie and of course, Dumbo himself. I loved it.